Auto versus auto (Wilshire Boulevard and Fairfax Avenue), 1952. 2 images. 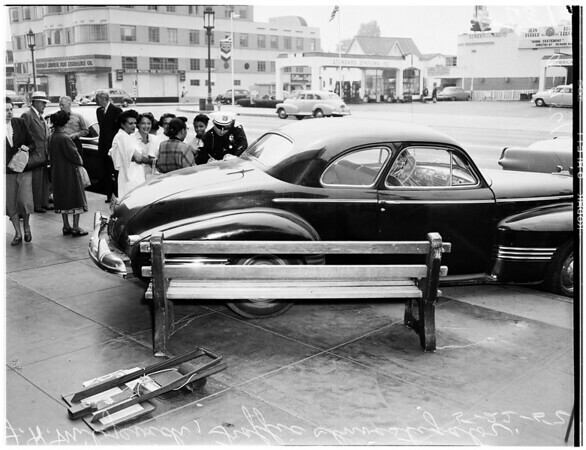 Auto versus auto (Wilshire Boulevard and Fairfax Avenue), 22 May 1952. J. H. Milojevich (Traffic Investigator). (Sleeve reads: A-9561).